Toilet stool that prevents constipation and straining, making it easier to go naturally - users display 90% less straining! Are you often constipated? You’re probably not sitting correctly on your toilet! 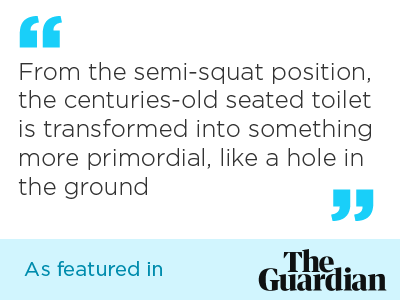 Humans are designed to ‘go’ in a squatting position, so that the bowels can empty properly. 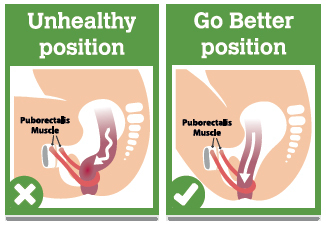 When you sit on a standard toilet your colon is kept partially closed by a muscle called the puborectalis. This makes it hard to do a poo without straining and can cause long term damage. 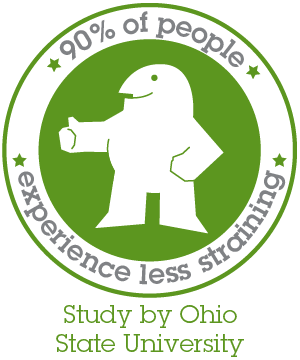 A recent independent study by the Ohio State University proved the efficacy of using a toilet stool with participants displaying 90% less straining when using this simple yet incredible device! Go Better Toilet Stool puts you in the perfect position for easier toileting - fuller elimination, faster elimination and less wiping, no straining.